Warren Edwardes (pictured below) is the man behind a rather unusual set of wines. Titled ‘Wine for Spice’, his range of two whites and a rosé is designed with spicy Asian food in mind. I caught up with him for a meal at upmarket curry house Masala Zone (www.masalazone.com). Warren has an interesting background. He’s from Dehli, but has Goan roots. He went to a Jesuit boarding school in Rajistan, where he had his first experience of wine at the 5.30 am mass that started each day. And his current venture follows a career in investment banking. Since I last saw his wines, they’ve changed their look a bit. The new labels are ‘a lot more feminine’, Warren claims. ‘We’re also aiming at the summer market: the key word is “refreshing”; anything that works in summer should also work with curry’. That means acidity, no oak and not tannin. Low temperature, sparkling, and not too high alcohol. This is Warren’s equation for a successful match with spice. 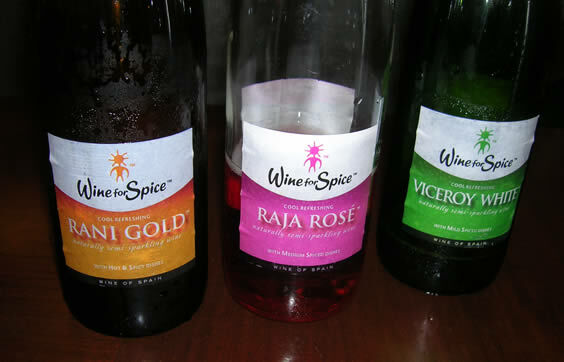 The most distinctive feature of the Wine for Spice range is that these wines are fizzy, but not as fizzy as Champagne. Champagne typically has a pressure of 6 bars, whereas these wines come in at 2.4 bars. This semi-sparlking style is produced by the charmant method. His wines all have some residual sugar, too, rising with the spiciness of the dish. Thermometer images are used on the label to indicate this. Clearly, these are wines with a function in mind. ‘They are not terroir wines’, admits Warren. ‘They are good gluggers: these wines can be produced anywhere because the key is vinification, not viticulture’. In fact, the wines all come from northeast Spain. Made from the same grape varieties used to make Cava. Very dry with good acid and a bit of a sparkle. Fresh, pure and fruity. Works very well with mild curries – in this case a chicken samosa was a good pairing. A bit neutral on its own. 2 g/litre residual sugar. 70% Garnacha and 30% Tempranillo. Sweet strawberry fruit dominates here, with a nice acid tang and some spritz. It’s off dry but refreshing. Works well with spicier food, cutting through nicely. 7 g/litre residual sugar. A mix of 50% Muscat and 50% Cava grape varieties, this is the most distinctive of the three wines: more refreshing than a pure Muscat because of the acid and fizz. Nice aromatic grapey nose but it avoids being at all sickly sweet. Off-dry but still refreshing. Nice rich texture. 19 g/litre residual sugar. These wines are available from some branches of Waitrose, as well as directly from the Wine for Spice company. Warren Edwardes is a brave man: he’s built a business that aims to find the right wine to match with curry. It’s called Wine for spice. I’ve always been one of those rather sceptical types who were of the belief that the best match for curry is a cold beer, but I’m an open minded sort of guy so I agreed to give Warren’s wines a go. I matched them with several typical curry dishes. The wines themselves are sourced from Cavas del Ampurdas, Perelada, in Spain’s Costa Brava. They are all made in a rarely seen semi-sparkling style, and there’s a dry white, a semi-sweet white and a semi-sweet rosé. 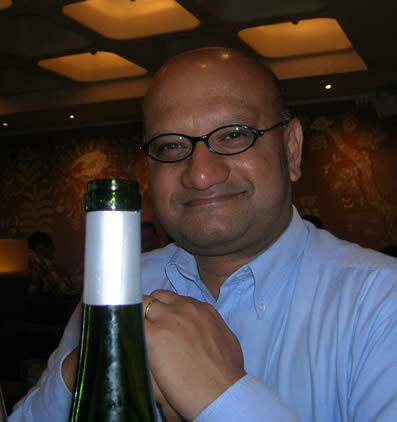 Below are my notes on the wines and how they faired with the curries. Surprisingly, the fizziness and sweetness in tandem work very well in the two sweeter wines. Overwhelmed by the curry: you just get the acidity and tartness. It cuts through the flavour well, but there’s nothing left of it once it has emerged. A surprisingly good match: the weight of flavour and residual sugar cut through well. The residual sugar really works well here. A good match, with the fizziness and acid countering the sweetness, and buffering the curry flavours to good effect. So, the crunch question: if I was dining in a curry house and saw Warren’s wines on the list, would I opt for them or stick with my beer? In all honesty, I’d go for the beer. Habits are hard to break. But if I was with someone who wanted wine, I’d probably give the Rani Gold a go in preference to a more conventional selection.